The LIFT™ Crating System is a safe crate. - free from stray nails and broken boards- just think, no more splinters! Using a utility knife, a LIFT™ Crating System is easily disposed of in compactors and balers. Safer handling for shippers and consumers. There are no nails, splinters, or broken boards. 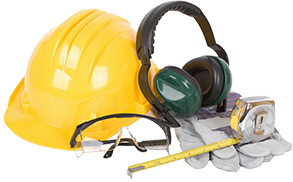 Workers Compensation claims can be dramatically reduced. St. Marys Box Co., Inc.